You can support the strength, health and resiliency of our enlisted military families. The commitment of our nation’s service members and their warrior families is intrepid. The Armed Services YMCA’s commitment is the same, supported by generous donors like you. Join us today! 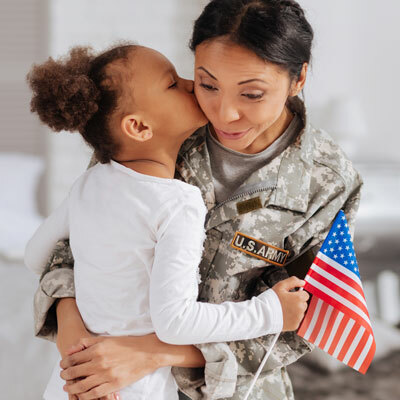 More than 7,000 service members and their families in Hampton Roads engage in Armed Services YMCA programs and services each year. With your support, we are strengthening our military family. Thank you! You can be rest assured that your donation will be used in the most effective and economical way, ensuring the highest level of support for our service members and their families. The ASYMCA is proud of our fiscal responsibility, and that we are consistently recognized as a top-rated charity by Charity Watch, Charity Navigator and Independent Charities of America.